After spending years as a small business owner, Drew Carroll often reminisced of his time in art school. After graduating with a BFA, all of Drew’s creative energy was put on the back burner while he concentrated on growing a small business. 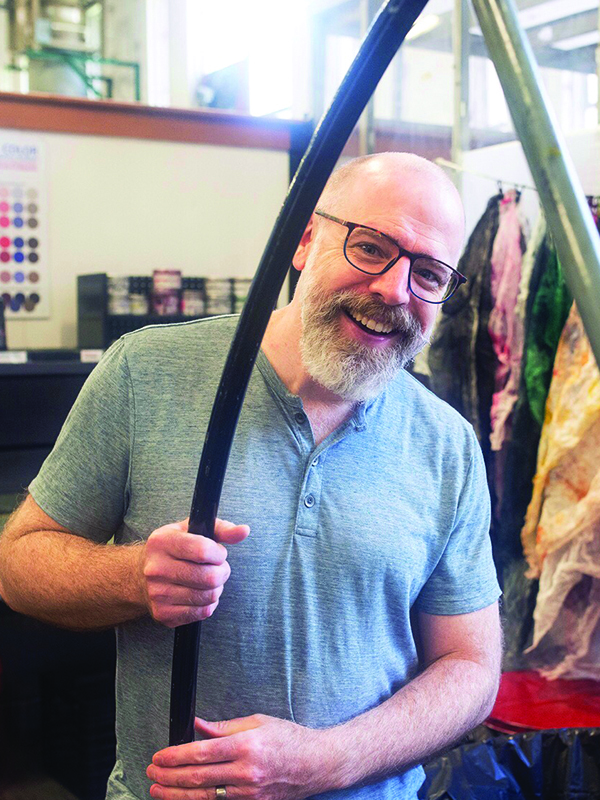 Now, 25 years later, he has reignited a passion for the arts through MassArt’s Continuing Education programs. Of his time at MassArt, Drew says,"I feel like I am able to connect with my creativity in a way that is fully supported and encouraged by the amazing faculty. My individual exploration is embraced and nurtured." Drew enrolled in a summer workshop studying monotypes several years ago and has not looked back since. While he has continued to work at home with oil painting, he has found printmaking to be his new obsession. Drew explains, "The collaborative experience of working in a printmaking studio is unparalleled. The instructors offer a wealth of information about techniques while encouraging personal exploration of the medium. Fellow classmates encourage and inspire each other through their own work process." Drew loves printmaking because it is so dependent on process, and satisfies his need to solve puzzles. He likes to create works that challenge his abilities, and inspire growth in his creative development. Drew says, "While working in the studio, I feel as though I enter a meditative state, and all of the worries of the day melt away." Drew has continued to enroll in printmaking courses each semester for the past three years. Next, he is setting his sights on an MFA, and has a goal of someday teaching in a print studio.